Allison Williams is my neighbor and one heck of a young photographer. She is the middle child of JD and Lisa Williams, younger sister to Clayton, older sister to Larkin, and she just recently picked up the camera and started shooting the daily happenings at Four Three Land and Cattle, which her dad (pictured below) manages. She’s a high school junior, growing up in Wyoming. I have to tell you, if I had this much talent at her age, well, I’d be a lot better than I am now. She has an eye for unique angles and shots without going too far to where photos and subjects aren’t recognizeable. As her dad says, it’s “just right”. 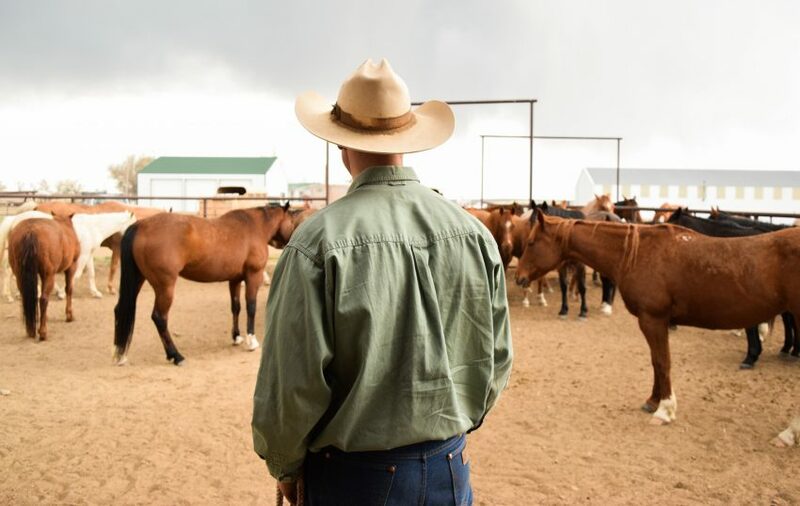 Allison entered a photo contest at the Crawford Cattle Call, and while I was judging photos anonymously, I had a pretty good inkling which photos were hers, especially based on the character in the photo, once again, her dad. I awarded her photo above first in her category. 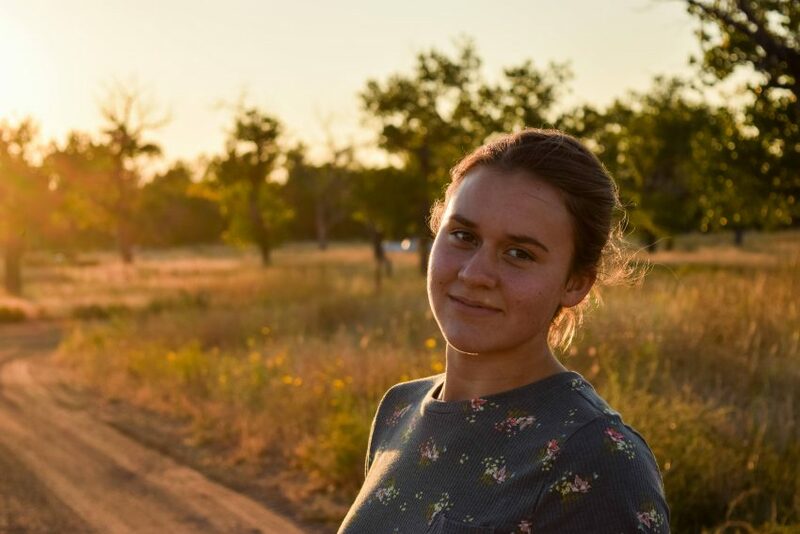 The theme of the contest was “a day in the life of a rancher”, and at first, I was mighty hesitant that could be captured in a photo, but I was proven wrong by Allison and a few others in the contest. When it came time to chose the best overall photo, I was so drawn to this photo based on the requirements and theme, but I was so nervous about being biased in choosing this photo knowing who took it. At the end of the day, I would have been biased for not choosing it because of who took it. The photo shows so much depth to me, from how Allison’s dad is trudging through the deep snow, the set of his shoulders, downcast eyes, yellow gloves many of us associate with our dads. I’m left wondering, something I often look for in top photos. Is that all the hay those cows will get or is there more? Is he going to roll it out by hand or foot? Is there a pitch fork nearby? Someone to help? Ugh, what a chore in all that snow. 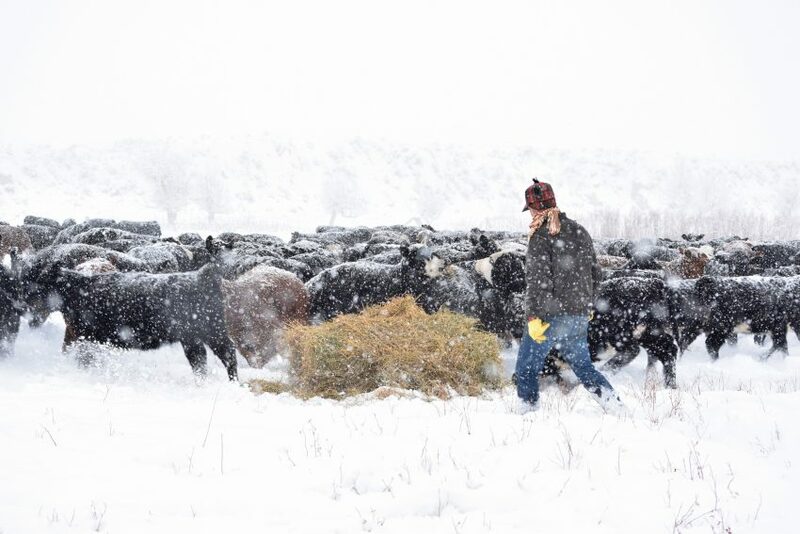 Allison managed not to over or under expose this photo, a feat with black cattle and snow. She preserved detail in the trees and hills in the background and shoots of grass in the foreground, and she placed her dad and the cows along the rule of thirds, the placing most pleasing to the eye. She didn’t over-embellish it with filters. Overall, it’s a sound photo with great detail and interest, which she is able to infuse into so many of her photographs. I’d love to share some of her work with you, which I’ll do on this blog post, and also over on Instagram @cavvysavvy and if you’d love to follow Allison, check her out at @allison02rose.